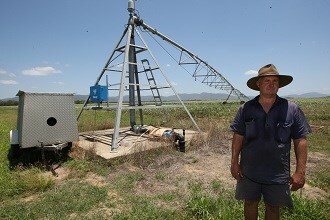 On sugar cane grower Steve Young’s plot in Mcakay, Queensland, a centre pivot irrigator circulates ever so slowly. Behind the mist of water is a highly specialised Yanmar Centre Pivot Generator package which Young purchased from local engine distributor Power Equipment. Mackay sugar cane farmer Steve Young is more than happy with his CPG package bought from local Yanmar engine distributor Power Equipment three years ago. 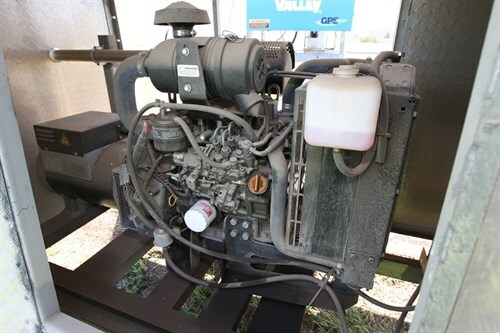 The purpose built package, comprising of a Yanmar 3TNV88 diesel engine with 20kVA 3 phase alternator, delivers the power required by the irrigator to water the 40 hectares of sugar cane growing under its arc. So far, Young has been delighted with his purchase. "I’ve had the Yanmar centre pivot power pack for more than three years," Young says. "In that time it has logged over 2,000 hours and I’ve never had a problem of any description." The centre pivot generators (CPGs) are purpose built to match the engine to the constant running load of the irrigator motors, and the alternator to the starting capacity of the irrigator motors. The units can be matched to single or three phase irrigators with three to nine spns, with or without booster pumps. Power Equipment supplied the package with an "Engine Protection System" which provides essential engine safeguards for automatic shutdown in the event of overheating or loss of oil pressure. An external emergency stop button is also available for manual shutdown when necessary. The Yanmar 3TNV88 water cooled diesel engine produces 36.3mhp at 3000rpm and, according to Power Equipment, has a very low noise level. It has a service interval of 500 hours, when the filters are replaced and oil changed. The entire CPG package is mounted to a dedicated trailer and enclosed in the checkerplate sides, making the power pack fully portable. An on-board fuel tank with 110 litre capacity is included in the self-contained mobile system. The exhaust vents out one end of the trailer canopy, while the fuel filler is easily accessed at the other end. Wide entry doors fitted on both sides make accessing the Yanmar 3TNV88 easy. Young says he particularly favours the CPG package’s mobility and versatility. "This unit can be towed around the farm and used where needed and most importantly, it can be plugged into our home power supply when we have a power outage," he says. "The Yanmar 3TNV88 has been brilliant. It is very economical on fuel, about 0.88 of a litre per hour and has given me no problems at all." Power Equipment is the official Australian distributor for a the Yanmar brand of marine and industrial engines. 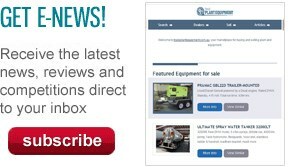 For more information, visit Power Equipment’s website.